Our families are the institutions that build our Ummah. 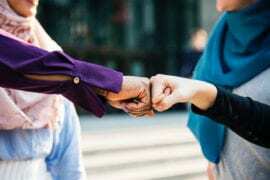 A strong, productive family leads to a strong, productive Ummah. Change starts with us. 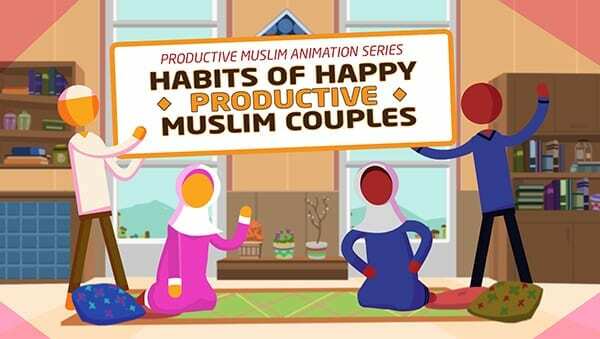 For this reason, Productive Muslim is launching the “Habits of Happy Productive Muslim Couples” Animation Series to remind all of us – and specifically old and new couples – of a few habits that strengthen the bond between a husband and wife and deepen their love and commitment to one another. We hope that you benefit from this series. We also hope that you share it with your family and friends who could benefit from this, so we can all be part of the reminder and part of the change, in sha ‘Allah.